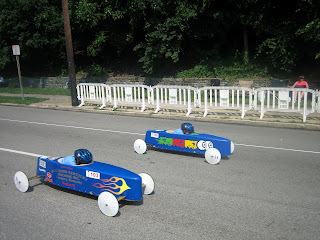 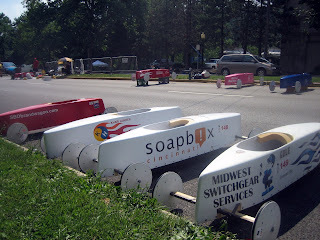 I walked through the Cincinnati Soapbox Derby on Saturday, and took some random photos. 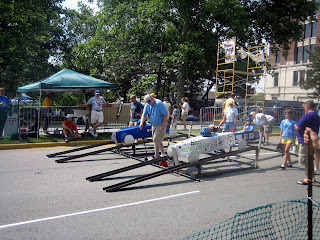 It was a nice day and it looked like a lot of people had come and gone already. 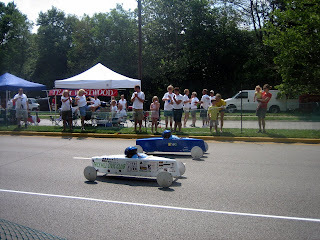 Here is the start of a heat. 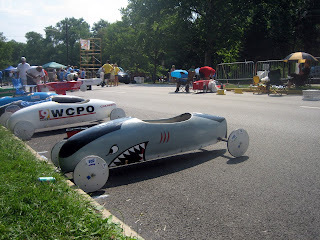 I particularly liked this shark racer. 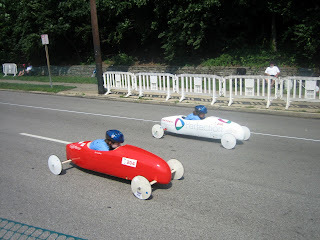 The WCPO car is in the background.